The saturated marketplace of the 21st century owns businesses that always remain one step ahead. Balance – in everything, is the winning formula for businesses who work through timely planning. Let’s take an example of the Healthcare industry. You must have seen people taking appointments in the hospital or in private clinics. Once an appointment is fixed, then the concerned doctor or the hospital administration will run a scheduled text message campaign. All those who have booked their appointments will be sent notifications & reminders about their appointments. Back in the 90s, all appointments and reservations used to be made over phone calls or by direct visits. Adults still remember how hard it was to confirm their appointments over and over again. Luckily, we have now gone pass those traditional times. Today, all communication takes place via mobile devices. And the best thing for us has been that mobile phones have brought text messaging services for instant communication – a platform in everyone’s reach. From worldwide businesses to every other individual, sending and receiving information can be done with your finger tip. Now appointments or reservations have become easy to execute with text messaging. With all sorts of text messaging, appointment notifications & reminders are also compliant with the regulatory bodies. Before sending scheduled notifications and reminders, you need to make sure to add an opt-out option in the message. Text messaging is the platform that most businesses use for the sake of appointment notifications & reminders. Majority of restaurants has started notifying their customers and them often reminder people about their services and the latest addition to the menu. Restaurants and food chains know the potential of text messaging. Imagine if a restaurant has to deliver an order to a customer, then, how will it tell that the order has arrived? Simply a text notification will notify the customer that his/her order has arrived. Restaurants also schedule text messages once they have a list of opt-in customers. 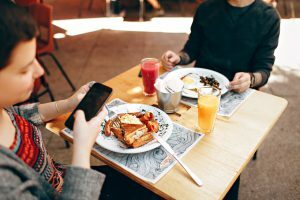 Either there is an addition to the restaurant’s menu or any offer on a particular occasion, a restaurant can send promotional text messages to a number of people. Nowadays, it is being observed that table reservations are made via text messages. If a customer wants to reserve a table, then he/she can send the keyword to the short code number of a particular eatery. In response, the eatery can send confirmation text message and can also remind the customer of his/her reservation. Another industry that uses appointment notifications & reminders is the Hotel industry. A hotel can notify its customers by sending them discount offers while they are having a stay at the hotel. For customers who are already enjoying a stay at your hotel can receive events update. 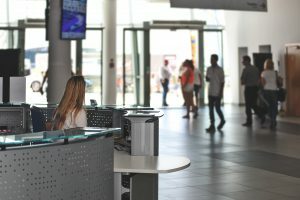 Your hotel can ensure that the customer experience is positive. Or else customers might lose interest in your hospitality and may end up checking out from your hotel. Leading hotels implement text messaging as their marketing strategy because almost every customer today owns a cell phone. To increase customer satisfaction, your hotel can roll out text reminders. Always remind your customers about their planned schedule. Sending them a text reminder can develop a sense of trust, customers will appreciate if your text messages will be benefitting them. Nothing appeals customers more than an idea that someone really cares about them. And if your hotel takes care of providing ease to customers, then they might think of your hotel as their second home. Fundraising with text messaging has been done by various nonprofit organizations. Nonprofits do not have much support for their cause, they rely pretty much on their trustees and other governmental support programs. If you belong to a nonprofit organization, then keep this in mind that timely alerts and notifications can enable you to raise funds. Your nonprofit organization can send high volumes of critical alerts to all the concerned authorities that are funding you. Always promote your social activities to create awareness of your initiatives and other ongoing ventures. You can use text message reminders for nonprofits that will remind your stakeholders to give their contribution to the well-being of the society. Following the footsteps of all the leading nonprofit organizations, your nonprofit body can also get in touch with the general public via SMS messaging. 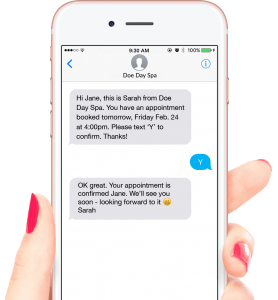 Salon & Spa industry is another industry that maximizes text messaging for appointments and notifications. This is extremely relevant if you are an owner of a Salon or a Spa. You can send unlimited numbers of text appointment to your customers, asking them not to miss their chance to avail your services. Text reminders can be sent via SMS, which will allow your customers to be on time. Interestingly, now text notifications have gone one step further. You can also reschedule your text notification campaigns by setting them up through an automated process. Most of the Salons & Spas use text message reminders for promotional activities as well. Your Salon or Spa can definitely send promotional messages to increase the participation rate in your events. Sending exclusive discount coupons and vouchers to your customers is a tactic that your beauty center should focus on cash. A great way to get your customers into your Salon & Spa is by sending them time-sensitive offers. To create more excitement for your customers, you can run sweepstakes to give away prizes. All these notifications and reminders will heighten your customer engagement and will later reward your business with customer loyalty. Running an Ecommerce store is not everyone’s cup of tea and we all know that. But at least, text messaging is relatively a better choice than going for email. Your Ecommerce website should always strive forward to enhance user experience. And for that, you need to make sure that your Ecommerce platform is user-friendly, and above all, it should be protected with cyber security tools. 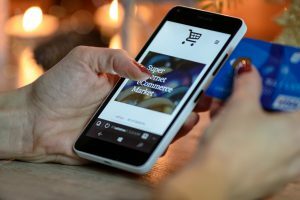 On most occasions, your Ecommerce store can fall into trouble for not communicating with your customers. It is crucial for you to provide instantaneous customer support. Ecommerce sites send real-time text notifications for shipping confirmations. And once their shipment reaches their ultimate destination, which is likely to be customer’s place, then, your Ecommerce store must send a confirmation text message that the shipment has arrived. Your customers can also get discounts on various products via SMS. Using text message notifications your Ecommerce business can drive more sales and your brand value will increase because the channel of text messaging is great to reach consumers. Text notifications and reminders are an added advantage for stockbrokers. All stockbrokers can easily communicate with their investors in a personalized manner. 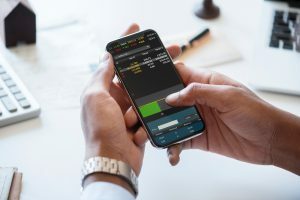 If you are a stockbroker yourself, then don’t forget that keeping your clients updated with text alerts is a fine tactic. You can send timely updates to notify your clients about the stock market fluctuations. The way stock index or share market changes, it is essential for you to inform your clients by sending them text message notifications. Always roll out text reminders to your clients for reminding them about new seminars, promotional events, book launch or any other information session related to the field of the stock exchange market. As a stockbroker, you need to go an extra mile to provide cutting-edge financial services to your clients. And no other channel can benefit your stock market consultancy than the channel of text messaging. You need to guide and educate your clients to invest their money smartly. So, don’t forget to stay in touch with them for proper counseling through mobile text messaging. Tax firms and independent accountants have started implementing text messaging to send SMS notifications and reminders to their customers. To avoid miscommunication during a busy schedule, your tax firm should send out appointment reminders. You can inform your customers with their tax return updates. Plus, your customers can have cash advances on tax refunds. All these can be done by sending text message notifications and reminders. 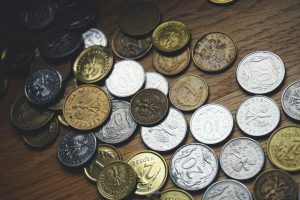 As a tax firm, you can propose independent contractors to design their quarterly tax payment structure that will help them to estimate their tax expenditures. 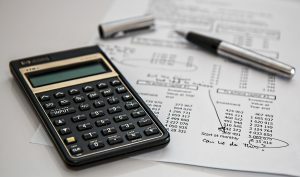 Even if you are an accountant who works as a freelance, you can offer weekly or month tips related to financial planning and other ways to save money. Whenever there is an update on tax policy, do send instant text alert notifications to your clients. Nothing will add more value to your work or tax firm than a list of well-informed customers. And by rolling out text alert notifications and reminders, you can be the source of knowledge for your clients.